The minute electrodes needed for microfluidic biosensors can be 3D printed and scientists hope an open source approach will improve their performance. For analysing cells and their contents, the technique called microfluidics is used. This involves biological material travelling through minute channels and electrodes passing electrical currents through the material for a microchip to analyse what it contains. Microfluidics is also known as, lab on a chip. Imperial College London researchers wanted a microfluidic biosensor that was cheaper and quicker to make for their analysis of cancer cells. Printing a vital part of the sensor, the electrode, was one way of achieving those goals. The electrode sits beneath the minute channels and the biological material flows over the electrode. Salehi-Reyhani and his team found that the electrode design could be drawn on a computer and printed. “We draw something on the PC [personal computer], five minutes later you have your template and half an hour after that you have your got electrodes,” he says. An early test involved printing out a super hero. 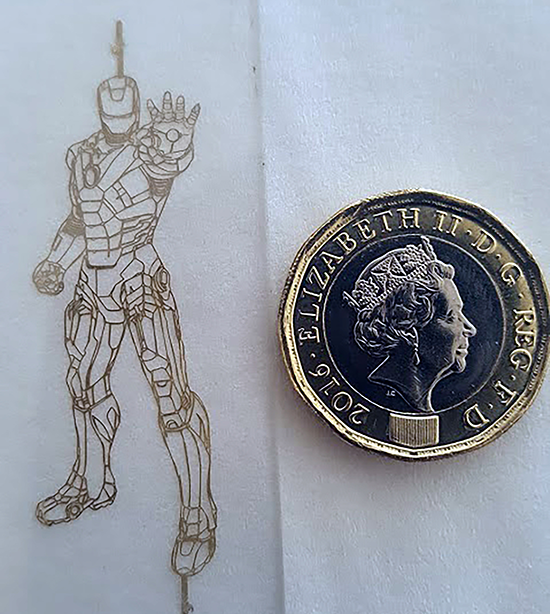 “We like IronMan so we did a Google image search and loaded it into Photoshop and printed it out,” Salehi-Reyhani explains. 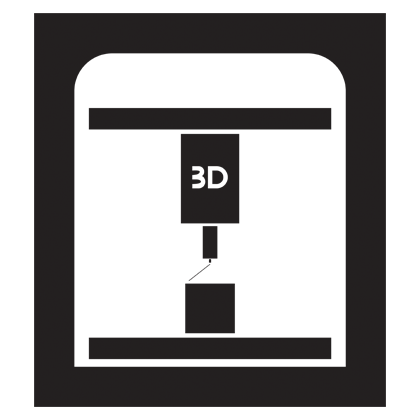 The 3D printed material is not as conductive as the gold electrodes used in the conventional, more expensive, labs on a chip. However, that did not matter, it was conductive enough and Salehi-Reyhani’s researchers have since improved the conductivity. “All you need was to send an alternating current, alternating voltage to disrupt the cells,” he explains. The simple design and rapid prototyping approach is one that Salehi-Reyhani hopes will lead to the hack space community contributing to the development of such biosensors, “whether that be in boot strapped research spin outs or the community hack spaces,” he adds. He thinks this rapid prototyping method will allow bioelectronics to benefit from the hacker community that is choosing to focus on solving healthcare challenges. Imperial’s research had to tackle two problem areas to realise the cheaper microfluidics. One was making sure the 3D printing electrode material was compatible enough for the biomolecules for the bioassay analysis; the second was ensuring the electrode would stick to the substrate that the lab on a chip sits on. A bioassay is the measurement of the concentration or potency of a substance by its effect on living cells or tissues. The next step for Salehi-Reyhani’s researchers is producing a microfluidic biosensor that can undergo clinical trials for everyday use in medical centres by non-experts. The biosensor would distinguish between viral and bacterial infections with just a drop of a patient’s blood. Salehi-Reyhani also wants to investigate wearable biosensor applications, such as sweat analysis.